Producer and former studio owner Isaiah B Brunt has traveled from his native Australia all the way to New Orleans to record his new album titled Just The Way That It Goes. He is basically an electric blues story teller. He pays homage to classic American blues but his slide technique and use of a wah-wah pedal propel the sound into the present. He may not be flashy but he is a master technician who is able to convey emotion and a personal connection though his music. Bassist Richard Bird and drummer Mark Whitaker are a competent rhythm section and provide a solid foundation for his guitar expertise. Tracks such as “Lovers Blues,” “She’s So Fine,” “The River Runs High,” and “Never Give Up” are aggressive pieces of fusion blues. 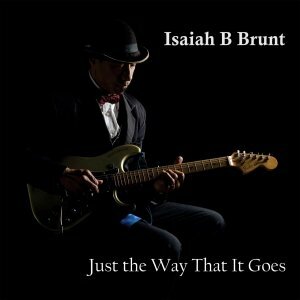 Isaiah Brunt may be a long way from home but he has embraced an American music form with Just The Way That It Goes. How long does it take to become commercially viable in the music business? In the case of Betty LaVette, just over four decades. In 1962, as a 16 year old, she had a top ten R&B hit with “My Man He’s A Lovin’ Man,” By 1972 she was signed to the Atlantic group and after releasing a couple singles, recorded her first full-length album. 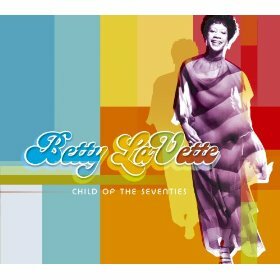 Titled Child Of The Seventies, it was never released until now. What initiated a renewed interest in her career was a return to the studio in 2003. Her A Woman Like Me earned her a W.C. Handy Award and she has not looked back. Real Gone Music has now released the complete Child Of The Seventies LP in a 22 track version, which includes several non-album singles and some extra bonus tracks. LaVette was and remains a gritty rhythm and blues singer with a gospel foundation. From the down and dirty opening track, “It Ain’t Easy,” the music travels in a southern soul direction. She may not be smooth but she is powerful, charismatic, and passionate. Her take of Free’s rock classic, “The Stealer,” is one of the great transformations in American music as she changes the cadence of the melody and puts a completely different emphasis on the lyrics. She fuses some country rhythms into “If I Can’t Be Your Woman” and “Our Own Love Song.” Her gospel foundation is evident on “Soul Tambourine.” “Your Turn To Cry” may be the best song on the album as it fuses soul and blues into a funky mix. The music is typical of Muscle Shoals as strings, horns, and even a sitar were added after the vocal tracks to give it a full sound but underneath her voice growls and purrs. It remains a mystery as to why her album was not issued when it was recorded in 1972. It is old school rhythm and blues at its best. 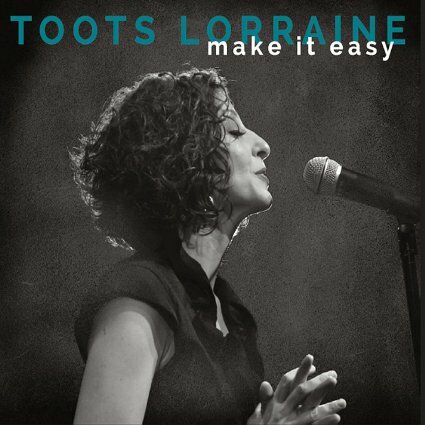 Her new album, titled Make It Easy, is a combination of smooth originals and blusy covers of Howlin’ Wolf, Joe Turner, and Bib Mama Thornton. Songs such as “Let Your Tears Fall Baby,” “Built For Comfort,” “Hindsight,” and “Why Did You Stop Tryin'” are nice trips through the swinging side of the American blues. Greg Shirley grew up in a family that was constantly on the move in the southern United States. Little did the young boy realize that one day these experiences would become the basis for his first album release titled Raised On The Run. Shirley is an American country singer whose songs reflect these early life experiences. Songs such as “Honky Tonk Highway,” “In A Pickup Truck,” “The Good Drugs,” “Jesus On The Dash,” and “Alabama Rain” are a testament to his hardscrabble life as a child. The only concern is that while the songs fit the theme of the album, he is not the composer of much of the material. Still, the songs fit his experiences. The stories look back to classic country, while the music and melodies have a modern feel. 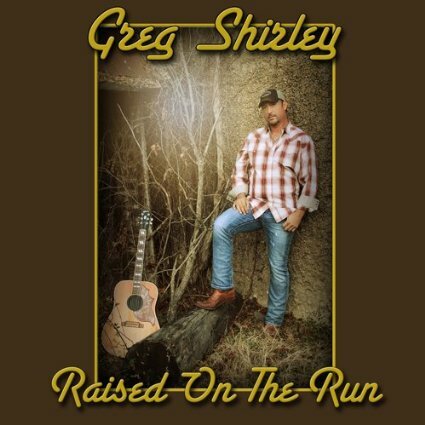 Greg Shirley’s youth have provided a nice backdrop for his music. It will be interesting to see what the next musical chapter holds. 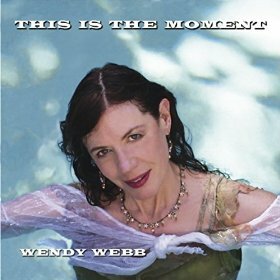 Wendy Webb has returned with her fourth album release titled This Is The Moment. While she incorporates elements of pop, rock, and blues into her sound; she is at heart a laid-back pop rocker. Her strength is as a lyricist. Her gentle stories create pictures with words and when set to well conceived and structured melodies, there are deep textures to be explored. It may not be dynamic and in your face but it’s subtle nature leaves a lasting impression. This Is The Moment is a good way to spend some time and let your mind wander. Guitarist/vocalist Steve Balkun, drummer Nick Balkun, and bassist Celeb Battersby have climbed to the top of the Connecticut and New England music scene. Now they have released their first full-length album titled Redrova. While their sound fuses a number of styles, they are at heart a blues band. Their approach begins in the Southern Delta with some basic rhythms. A sometimes funky bass provides the foundation for Steve Balkun’s electric guitars excursions. It all adds up to a sort of power blues trio. “Last Jam (Oh Yeah! ),” “Bippidee Bop,” “Sally’s Blues,” and “Too Damn Long” are all excellent examples of their energetic approach. The songs also have the length to allow the band to improvise and explore a song’s textures. 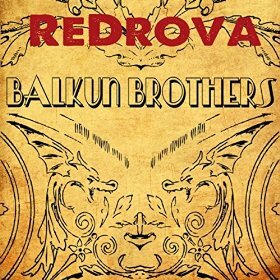 The Balkun Brothers continue to hone their sound. Redrova may be a little rough around the edges but it has a lot to recommend it. Peggy Lee, 1920-2002, had a career that spanned six decades but it was the war years to the advent of the rock and roll era that she enjoyed her greatest commercial success. She first gained notoriety as the vocalist for the Benny Goodman Orchestra. By 1945, she was on her own and would place 33 singles on the Pop Charts during the next ten years. Just before the rapid growth of television, she had her own radio show for two years, 1951-1952. She sang hundreds of songs during the course of the programs 89 episodes. Real Gone Music has now gathered 44 of these performances under the title At Last: The Lost Radio Recordings. The criteria for selecting the songs were based on rarity. None were released commercially nor were they issued on any transcription discs that she recorded for radio airplay. Taking these limitations into consideration, the 44 song collection is one of the most eclectic of her career. The sound has been scrubbed about as clean as possible but the listener is still at the mercy of early 1950’s radio technology. On the other hand, the accompanying booklet presents a comprehensive history of the first part of her career. She needed a huge number of songs to fill two years of broadcasts. There were not enough hits or recorded material so she turned too many of the popular songs of the day and Broadway. Some work better than others. She tended to stride the line between traditional pop and light jazz and was able to adapt many styles of material and make them her own. Covers of such hits of the day as “Cry,” “Please Mr. Sun,” “The Little White Cloud That Cried,” “Come On-a My House,” “When I Fall In Love,” and “Since My Love Has Gone” are all smooth and at times subtle performances. Her voice was able to twist a melody and make it unique to her. Some of the show tunes are more of a stretch for Lee. “Getting To Know You,” “After All It’s Spring,” “Life is A Beautiful Thing,” and “Just For You” work best within the context of their plays but she gives them the old college try. 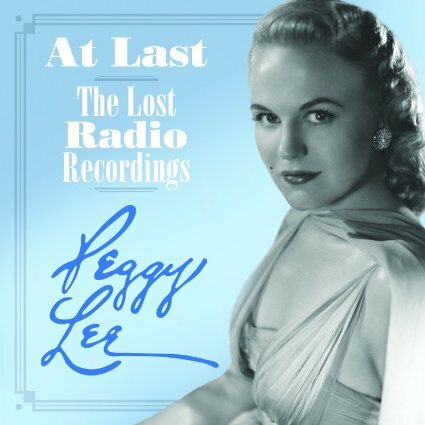 Peggy Lee and the material contained on At Last: The Lost Radio Recordings is a trip back in the time machine and far removed from the music scene of today but for anyone who is a fan of the era or Lee, it is a welcome addition to her legacy. Enter The Haggis was a Celtic based music band who incorporated an improvisational style into their approach. The band now has a new name and new style. 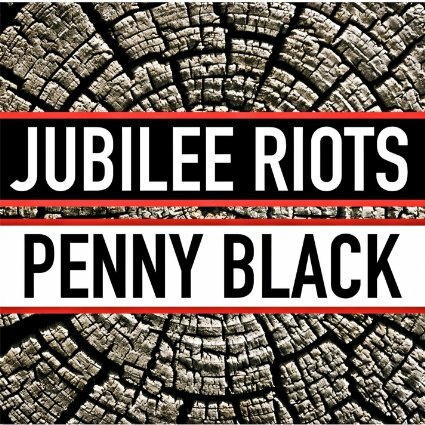 Their new moniker is Jubilee Riots and they play a multi-layered fusion of blues, rock, and even a little gospel. In addition to their changes, they took a very unique approach in putting together their new album titled Penny Black. They assembled 500 fan letters and used them as the basic for their lyrics. They then encapsulated the stories within catchy and multi-layered music. It all adds up to energetic and danceable music with personal stories. The five band members combine a lot of instruments into their sound. Guitars, keyboards, synthesizer, percussion, trumpet, harmonica, banjo, mandolin, and bass all join together to create a variety of textures. “Trying Times” and “Song Plays On” find the band fusing blues and rock. “Cut The Lights” is very close to a pure pop song with a number of melodies coming together. “Rapture” finds them moving in a gospel direction. It is admirable when an established band tries something different. Penny Black is a wonderful exploration of new style and dimensions. Bob Dylan released Blonde On Blonde in 1966 and in many ways it completed and culminated the first phase of his career. A motorcycle accident would separate this release from his next which would find a far different Dylan. Rolling Stone Magazine ranked this album as the ninth greatest album of all time, which may be too low. This is one of the rare double albums that should not have been a single disc. In many ways it established double disc releases as a viable commercial entity as it achieved double platinum status. The songs bring to a completion the musical advances begun on Bringing It All Back Home and Highway 61 Revisited. Personally I place Blonde On Blonde at the top of the Bob Dylan pantheon. Dylan continued to record with a variety of rock musicians. Charlie McCoy returns to bring his country guitar to this release as did keyboardist Al Kooper. More important to his future are the appearances of Danko, Robertson, Hudson, and Manuel who would go on to form four fifths the Rock ‘N’ Roll Hall Of Fame group, The Band, who would play such an important part in his subsequent career. 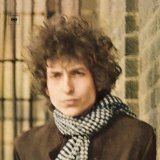 In many ways Blonde On Blonde is Dylan’s least disciplined album as he lets his imagination run wild. There is no overall theme or direction but there is wit, sarcasm, melody, imagery and even some wonderful love songs along the way. The words, “Everybody Must Get Stoned,” begin the musical journey as part of the upbeat and offbeat “Rainy Day Women #12 & 35.” Just check out Proverbs 27:15. “Pledging My Love” is a blues song that Dylan would morph away from during the next part of his career. “Visions Of Johanna” is a poignant love song about things always just out of reach. “One Of Us Must Know (Sooner Or Later)” is Dylan in the confessional. And this is just side one of the first disc. The gems continue throughout the album. “Stuck Inside Of Mobile With The Memphis Blues Again” is just a joyful romp. “Leopard Skin Pill-Box Hat” is Dylan at his humorous best. This bluesy song is filled with memorable images “Just Like A Woman,” with its unique vocal delivery, is one of Dylan’s most covered songs. “Most Likely You Go Your Way (And I’ll Go Mine)” is a song of parting or getting rid of; take your choice. The serious content is hidden in an upbeat tempo. “Absolutely Sweet Marie” find Dylan in all out rock mode with guitars and organ in support. “Sad Eyed Lady Of The Lowlands” concludes the album and takes up the whole fourth side of the original release. This eleven plus minute opus is a hypnotic ode to his wife Sara. Blonde On Blonde is a scattered and ultimately brilliant look into the musical mind of Bob Dylan. It remains a fascinating listen four decades later and is legitimately recognized as one of the best albums in history. Highway 61 Revisited exploded upon the world in 1965. Dylan would record with a full rock band for the first time in his career. Blues guitarist Mike Bloomfield and country guitarist Charlie McCoy would provide superb backing for Dylan as would keyboardist Al Kooper. Dylan had now completely embraced an electric sound and the public would respond by making Highway 61 Revisited a huge hit. It would reach number three on the American National charts and achieve platinum status. Legend has it that Robert Johnson sold his soul to the devil on Highway 61 and maybe Dylan made such a deal for himself. As Johnson would affect and change the blues in America so Dylan would exert an influence on rock ‘n’ roll. Dylan’s music was now rock but different from any other produced at the time. His lyrics and melodies were far beyond the vision and creative ability of all but a few musicians in the world. In the final analysis Dylan was changing what rock was all about. “Like A Rolling Stone” would be the most unique hit single in rock history up until that time. Radio stations wanted and demanded singles less than three minutes in length. The song clocked in at over six minutes, yet the stations would play the song over and over as it rose to number two on the National charts. Rolling Stone Magazine would rank it number one on their list of the 500 greatest songs of all time. The song is melodic, lyrically superior and unique, a little uncomfortable at times and never lets up for six minutes. It has deservedly gone down in history as a perfect masterpiece. “Desolation Row,” which closes the album was Dylan’s longest song up until this point in his career. This eleven minute novella would take the listener on a journey through the use of music. I am not sure that the lyrics all make sense or if Dylan had an actual destination in mind but it is a lot of fun to travel with Dylan for awhile. “It Takes A Lot To Laugh, It Takes A Train To Cry” has a nice bluesy feel and would be covered by hundreds of artists. “Tombstone Blues” may have obscure lyrics but the music is almost rooted in garage rock. “Ballad Of A Thin Man” alternates between beautiful, wistful, and chilling. I have always enjoyed, if not completely understood, the trilogy of songs that form the beginning of the second side of the original vinyl release. “Queen Jane Approximately” was a song about a fall from grace based on the story of Lady Jane Grey who was the uncrowned Queen of England for nine days. 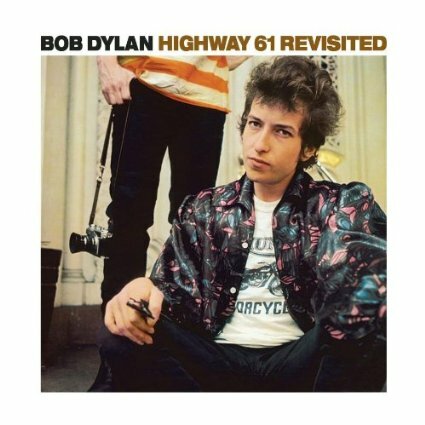 “Highway 61 Revisited” is a protest song with a beat. “Just Like Tom Thumbs Blues” is Dylan doing what he does best and that is providing layers of imagery that require the listeners total involvement. Highway 61 Revisited would find Dylan consolidating his musical vision. Dylan would also continue his journey as a master of words and imagery. If Dylan really did sell his soul to the devil on Highway 61, on this album at least, he got the better of the deal.